Whole oat groats retain more nutritional value than their processed brethren. Whole oat groats are the least processed types of oats you'll find on the shelf -- these oats are simply cleaned and hulled grain kernels. Because of their hearty, unprocessed nature, whole groats take a bit longer to cook than other types of oats, such as rolled or quick oats. The slow cooker comes in handy as a no-fuss, slow-cooking method for preparing a warm and fragrant whole-groat oatmeal. Combine whole oat groats and room-temperature water in a slow cooker at a ratio of about 1/3 oats to 2/3 water. For a full-sized slow cooker, about 2 cups of groats and 6 cups of water does the trick. Add cinnamon, sugar and a pinch of salt to taste, if desired. You can also add a handful or so of dried fruit such as cherries, raisins or berries to the mix for more flavor and nutritional content. Set the slow cooker to low and allow the groats to simmer for 8 to 10 hours. 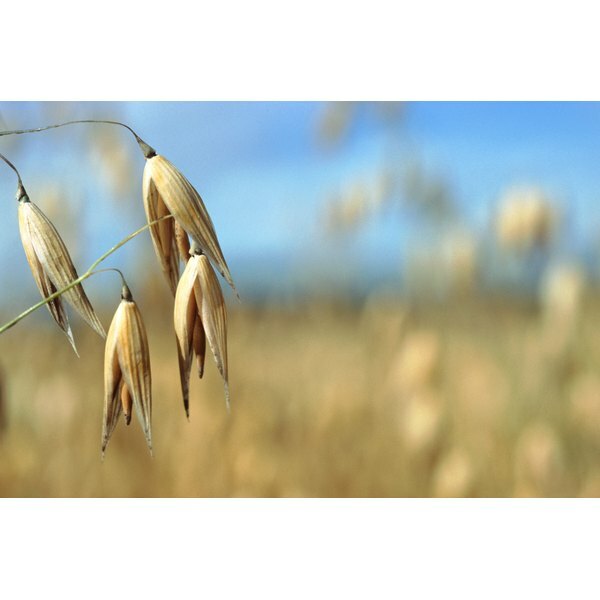 When they're ready to eat, the oats give off a hearty, wheat-like scent and have the soft, moist consistency of oatmeal. Put your whole oat groats in the slow cooker before bed to wake up to a warm serving of oatmeal in the morning. 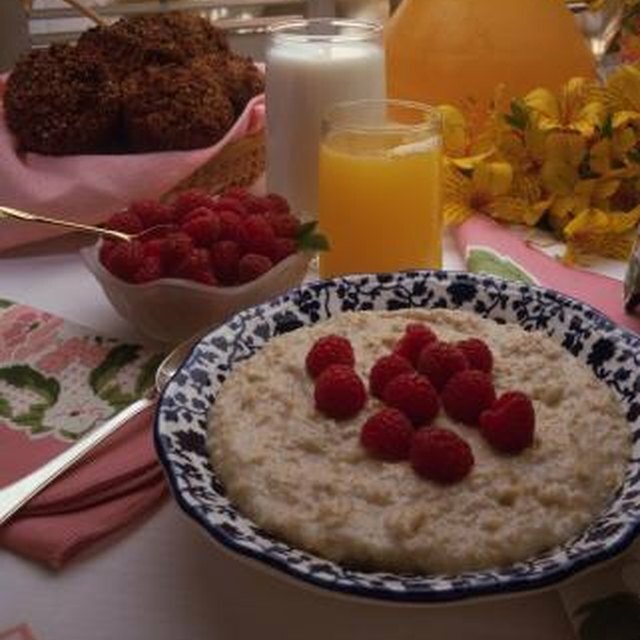 Substitute milk for water to give your oatmeal a creamier consistency and richer taste. Substitute raw brown sugar for table sugar for a healthier, more flavorful option. Experiment with spices, seasoning and garnishes such as almond butter, nutmeg or dried coconut shavings to give your oat groats a richer flavor. For a tangier flavor and even more nutrients, add sliced fresh fruit, such as bananas or peaches, to the oat groats after cooking. A drizzle of honey also serves as a health-conscious and tasty alternative sweetener. Chocolate-Covered Katie: Crock Pot Oatmeal -- The Easy Way! What Is the Difference Between Rolled Oats and Whole Oats?